The Railway Network of Navi Mumbai forms the lifeline of the ‘new city’ connecting the residential population to their work places situated in the Island city and its suburbs. The extended harbour suburban rail commuters system is a major part of the railway network in Navi Mumbai. A 29 Km. 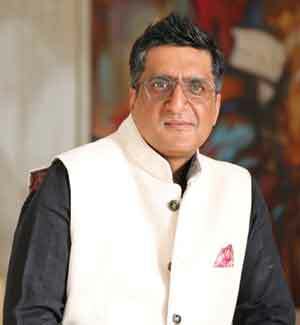 Mankhurd–Belapur–Panvel corridor has been operational even before inception of this city, and a 23 km. Thane–Turbhe–Nerul/Vashi suburban corridor connects Navi Mumbai with Thane city, which is also operational. The hallmarks of suburban railway stations are their unique architecture, commuter amenities, double discharging platforms and subways/over-bridges for easy exit and entry. The latest addition to this network is going to be the Nerul–Uran line, which is under construction. 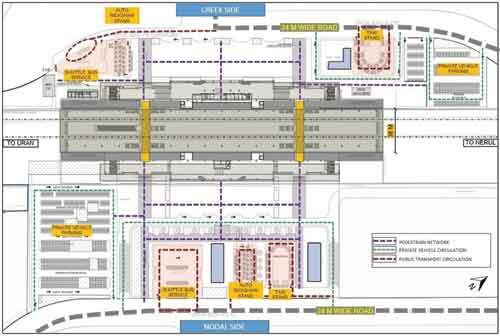 It is designed to cater to the passenger traffic demands generated by Jawaharlal Nehru Port, port-based industries, ONGC, Defence establishment at Uran, other residential, industrial, and warehousing complexes in Uran taluka, and the commuters for the proposed Navi Mumbai International Airport. CIDCO’s vision is to develop the station complexes with state-of-the-art architectural and structural designs, functional and efficient, with low maintenance finishes, which shall become icons of Navi Mumbai. Green concepts and techniques can not only help address national issues, such as water efficiency, energy efficiency, and reduction in fossil fuel use for commuting, handling of consumer waste and conservation of natural resources but, more importantly, they can enhance the occupant’s health, productivity and well-being. 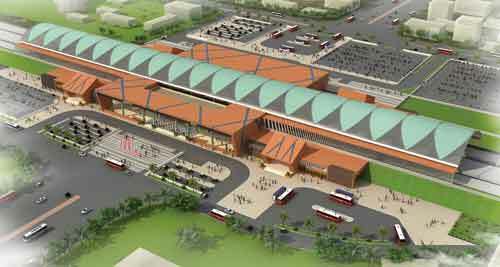 The project of Kharkopar Railway station is one of the finest examples of a Green Building. Not only has the structural elements been designed keeping in mind the environmental impacts and benefits, but the project also deeply embeds into the concepts of user-centric design, where each space has been designed keeping in mind the various users and their user patterns. Hence, the concept of ‘Green’ in terms of sustainability has been addressed in this project at every stage. Hiten Sethi & Associates have been appointed by CIDCO to design the Kharkopar Railway Station, which is part of the first phase of the project. It consists of designing and construction of four out of 10 stations on the above-mentioned Nerul–Uran railway line. The scope includes designing the project based on the operational activities of the stations including the ease of the commuter’s feeder system, parking facility for various types of commuters, detailing of the forecourt area, and designing of the commercial activities. The drop off and pick-up areas are designed keeping in mind the users and their priorities at the station, and to enable the users a quick commute through the station and in to the trains. The multiple access points to the platform area are designed such that the route of the regular pass holding commuters and the ones travelling after purchasing the ticket is segregated. This enables regular commuters to fast track their passage through the station – to and from the platforms. This also helps the ticket buying commuter to avoid the rush hour crowd while entering the station, as well as bring in efficiency in terms of peak hour management. Toilet blocks are located next to each subway on both the sides of the station, making it most convenient for the passengers to use them. Platforms can be accessed through two subways. Each subway further branches out into left and right hand wings leading on each platform, thereby creating ease of circulation and disbursement of peak hour crowd quickly out of the station. This would empty the station well in time to accommodate the passengers commuting by following train. The facility for drinking water cooler is provided at two locations next to the exit of the subway on each platform such that passengers would not have to walk far to access the clean drinking water at the station. The architectural design consists of a 270m long and 30m wide parabolic curve roof with combination of polycarbonate and aluminium roof sheet over the platform area, supported by 35m long parabolic truss spaced 15m C/Con Cylindrical Hollow Steel columns. The steel framed roof has enabled the Architects to design a column free island platform, thereby giving an experience of grandness and huge space on the platforms. A 200 x 30 m wide flat roof has been provided above the concourse area. Moreover, the spaces and the detailing in the project have been designed keeping seamless wheelchair accessibility in mind. All the areas can be accessed via ramps having gentle slopes and lifts are provided from the concourse area directly onto the platforms to enable easy movement with dignity for passengers on a wheelchair. The detailing of the façade is done such that it enhances natural ventilation on the platforms while keeping the rainwater away. The fins just below the roof on the external vertical façade are designed as horizontal louvers tapering towards outside to enable the warm air inside the platforms to escape through them and the tilting towards outside ensures that no rainwater enters the platform from these louvers. Along with the desired design performances, Life Cycle Analysis methodology has been used for selecting building materials. Multi Cell Polycarbonate sheets are used for roofing. These light weight, low maintenance and durable sheets enable the designers to reduce the dead load on the structure and also bring in adequate diffused daylight on the platforms. Building materials, such as material for flooring, cladding, etc., have all been chosen based on their high rating on the Life Cycle Analysis performance. The total connected load of the project is 320 kW. Solar panels having 180 kW output are installed on site for generating renewable energy. Nearly 75,000 litres of water per season is collected via rain water harvesting system installed at the site, which is eventually used for flushing and cleaning. This project has been a unique combination of the highly technical aspects to be combined with peak hour crowd management while designing an iconic structure that shall become an identity of the said locality. And, the only way to achieve these objectives was through efficient team work between all the stake holders. As an architect, Ar. Hiten Sethi had an opportunity to do an in-depth study of the behavioural aspects of the users and crowd management and translate it in to physical spaces that stand true to the concepts of sustainability through architectural design, material selection, ease of maintenance and longevity of the structure while catering to the end use commuter for years to come.